Let's say my review of the Chocolate Brooklyn Babka was Episode IV, A New Hope: an unfamiliar genre of food at TJ's; a baked good by which to measure all others of its kind. Well then, logically, Mr. Shelly's look at the Mango Brooklyn Babka was The Empire Strikes Back, with mango playing the role of Lando Calrissian. At first, both mango and Lando seem super cool. But then, you realize you don't want to spend a ton of time with them, particularly when they betray you to Darth Vader and/or spoil your summer TJ's runs with ridiculous amounts of mango-infused nonsense. But in the end, Lando turns out to be okay and joins the rebellion, just as certain mango products are very welcome, despite having to keep your guard up just a little bit whenever you're around them. So that leads us to this product: Pumpkin Spice Brooklyn Babka. If we're sticking with our Star Wars metaphors, then we've arrived, inexorably, at The Return of the Jedi. Can you guess what role "pumpkin spice" plays here? Super divisive, either love 'em or hate 'em, overly cutesy, give their fans the warm fuzzies, some might say unnecessary, yet as they stand, an integral part of the season/story. If you don't like Ewoks, they'll ruin Episode VI for you. 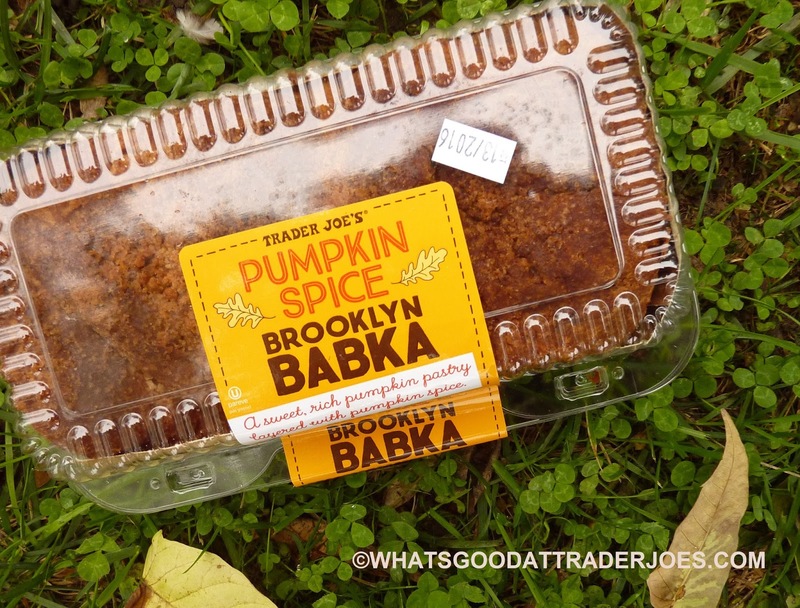 If you don't like pumpkin spice, it'll probably ruin this babka in a similar fashion. I embrace both for what they are, although, even I have my limits. There's just no justifying those god-awful pumpkin caramels or The Battle for Endor. But back to the babka. I looked up what kinds of babkas exist in normal New York bakeries, and pretty consistently, chocolate and cinnamon were the only flavors to come up in the articles I found. Neither mango nor pumpkin spice were mentioned. Ever. But hey, this isn't a bakery in Boro Park, this is Trader Joe's. They can do what they want. 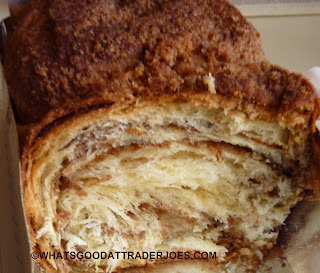 But I would like to ask them: why wouldn't you want to make a Cookie Butter Brooklyn Babka? Not such a far cry from cinnamon, I would think. But what do I know? On a podcast episode long ago, Russ mentioned the lightness and airiness of the mango babka (just like Cloud City). Sonia and I were perplexed, as the chocolate variety was quite dense, rich, and heavy. 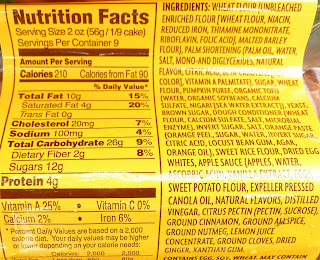 Now we know what he was talking about, as the bread within this pumpkin spice version, too, is nice and light. Fluffy almost. The top of the babka is the exception to the airiness. It's thicker, heavier, and more flavorful than the rest of the product, and both Sonia and I agree it's our favorite part. There's a fair amount of pumpkin spice flavor throughout. Sonia says she tastes an abundance of allspice in particular. She wishes there were a little less of it. I have a hard time identifying individual pumpkin spice flavors, but I do notice a slightly-more-pungent-than-usual pumpkin spice flavor that's just a little unappealing. It also leaves a slight aftertaste. That must be what she's talking about. 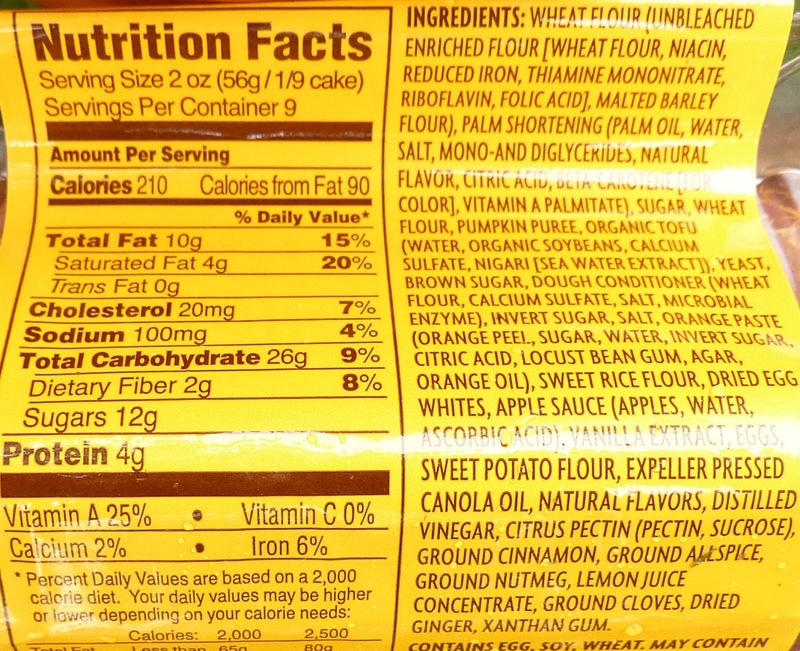 All in all, the flavor's about what you'd expect for a pumpkin spice pastry. The texture is pleasant and inviting. Personally, I'd put this on par with the chocolate babka, score-wise. If I wanted something rich and heavy, I'd grab the chocolate kind. If I wanted something light and fall-ish, I'd grab this one. Either way, these babkas will obliterate your munchies like a massive battle station with enough firepower to destroy an entire planet. Three and a half Death Stars from me. Four from Sonia. Hmmm...peppermint chocolate babka? That could work! Or even a candy cane babka. Something new. They had done mango and now pumpkin. Mint is the new star!! Picked this up upon your recommendation and loved it! Long time reader of your blog ...you guys have given some great recs. Most recently the chai chocolate almond bar was another fave from products you reviewed. Thanks for your kind words about the blog and the recommendation on the pumpkin chai spice loaf! We'll have to look for that one next time.